The Evil Twinsha's invaded Crash's island paradise with plans of destruction. 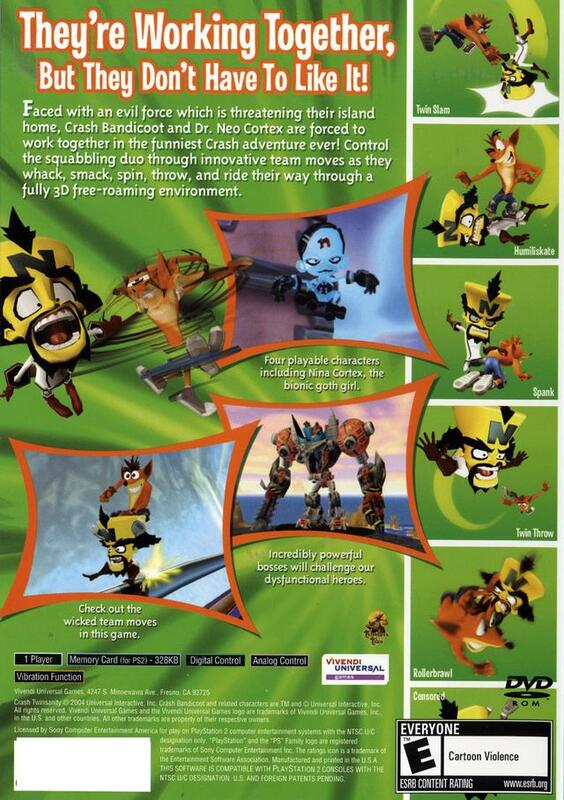 In a strange twist, Crash grudgingly pairs with his archenemy, Dr. Cortex in order to save the world. Through this unorthodox partnership, Cortex is abused as Crash's favorite weapon when Crash and Cortex are controlled as one. 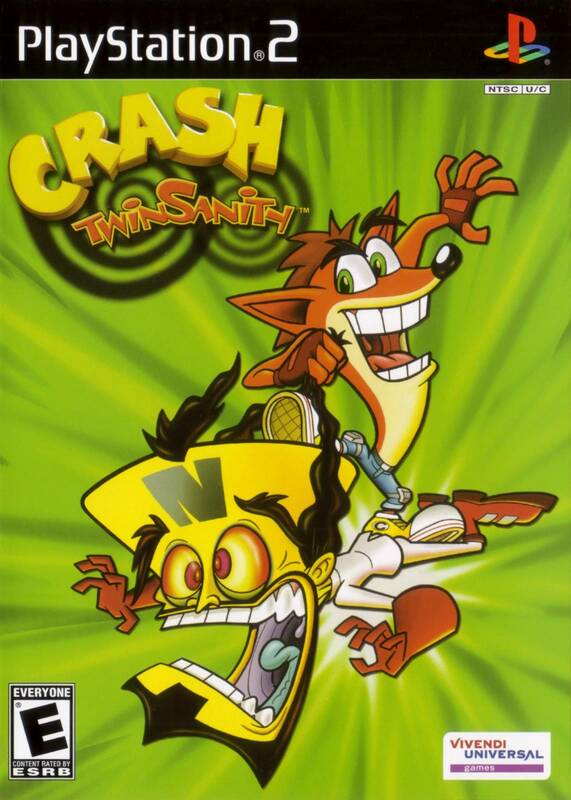 The game features completely immersive environments which respond realistically as the player interacts with them, along with streaming worlds that can be played through without load times; and four playable characters - Crash, Cortex, Nina Cortex (the niece of the evil doctor) and the brand new pairing of Crash and Cortex. So Trippy And Dope Came like brand NEW WITH POSTERS AND WHAT NOT! !and A Quality Game and case???????????? This game played great!! No skips so far,no scratches..It's alot of fun to play ..my 9 yr old daughter loves playing it..It looks so easy but it's not...That's the games I like to play sometimes..I Recommend This Game and Seller..Thank You Luckie another great Game! Crash Twinsanity is the weirdest game I have ever played. 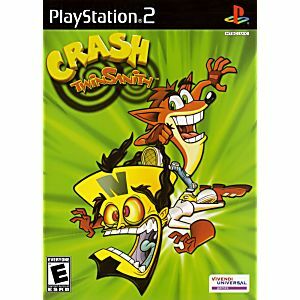 Crash and Dr.Cortex work together to stop the evil twins from destroying their world. The gameplay is solid, and there are so many weird moves done here such as the Humiliskate and Rollerbrawl. I had a lot of fun with this game and it's hilarious story even though it was short. It's a challenging game more often than not, which is why I enjoy it so much. A free roam crash Adventure that still feels like a Crash Bandicoot game, the last good one. Solid controls, fantastic music and a fun story to go with it. This game is worth owning for fans of the series. Another great game in the Crash Bandicoot line. Lukie Games gas provided me with may great games and this is one of them. one of the best crash there is.real fun but also very hard to play? thanks lukie games.